—Pervez Hoodbhoy, Distinguished Professor of Physics and Mathematics, Forman Christian College, Lahore, Pakistan. How is Islam adapting to the rapid changes of the 21st century? 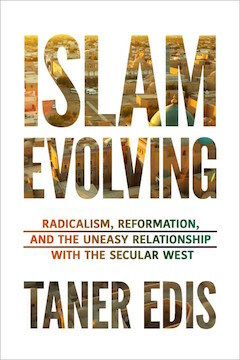 Despite political unrest and terrorism, the author argues that many Muslim societies are successfully developing their own versions of modern life. In contrast to the secular liberal model that prevails in the West, Islam is demonstrating alternative ways to be modern while maintaining a distinctly Muslim worldview. Professor Edis, an American physicist with a secular viewpoint who was raised in Turkey, is uniquely qualified to evaluate the interplay of modern trends and Islamic values. He devotes separate chapters to prominent examples of what he calls Islam’s “pious modernity.” For instance, while most Muslim societies embrace the applied sciences and technology, they are cooler toward aspects of science with materialist implications. They are also enthusiastically adopting a market economy and consumerism, while preserving Muslim religious values. Even in such controversial areas as multiculturalism, individual human rights, freedom of speech, and gender roles, the author shows that Muslim societies are drawn toward a flexible conservatism. He critically evaluates attempts to import Western political and cultural notions into Muslim societies and draws interesting parallels between conservative Christian reactions to secular society and similar responses in Islam. This balanced overview of Islam’s relationship with the modern world will be of interest to open-minded readers in both the West and the East.